Senior producers in race for Rajya Sabha? If the ongoing reports are to be believed, senior film producers D Suresh Babu and KL Narayana are in race for Rajya Sabha MP berth. Both the producers are reportedly in talks with several TDP bigwigs over the past few days and even got the leaders’ assurance. The Daggubati family always had close ties with the TDP as Suresh Babu’s father and legendary producer late Dr. D Ramanaidu served as a TDP MP during Chandrababu’s reign. 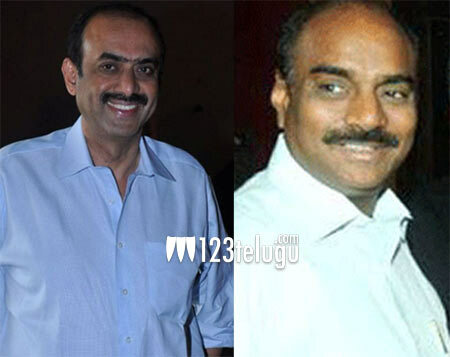 TDP will be hoping to win the film industry’s support by nominating Suresh Babu. Apparently, a prominent MLA and a minister, who maintain a close relationship with the film industry, have recommended Suresh Babu’s name to AP CM Nara Chandrababu Naidu. On the other hand, even KL Narayana is reportedly lobbying for the Rajya Sabha ticket through several TDP leaders. The Rajya Sabha elections will take place in June.